Home > Knowledge Center > Does Artificial Grass Get Weeds? 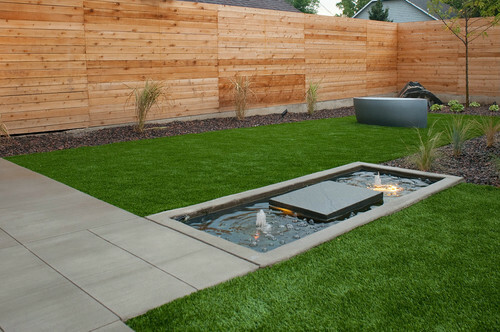 Artificial grass is a low-maintenance alternative to natural grass lawns that allows you to enjoy the look and feel of grass without the extensive maintenance that conventional grass requires. This means you can avoid the hours of mowing, edging, aerating, watering, fertilizing, weeding and re-seeding; however, it does not mean that synthetic grass is completely maintenance free. To keep your manufactured lawn looking green and lush, you do need to occasionally spray off the dust, give it a good brushing, clean up after your dogs and, yes, you may have to pull the occasional weed. While synthetic turf is far more weed resistant than a natural grass lawn, it is possible for weeds to sometimes grow around the edges or, more rarely, through the small holes in the backing material. Depending on the type of infill used during installation, weeds may also grow in the infill. Weeds that grow in infill generally cannot root beneath the turf, so they can be easily removed; however, if you use sand infill or other infill materials that allow seeds to germinate, you may see weeds growing in your artificial grass. It is very difficult for weeds to grow up from the soil through properly installed manufactured turf. This is because of several steps during the installation process that help prevent weed growth. Excavating the area will remove any surface weeds, a weed killer is sprayed in the area to help kill existing weeds and seeds in the soil, the compacted base provides an additional obstacle for weeds and we always recommend including weed barrier fabric in the installation process. However, it is very difficult to destroy all existing weed root systems, and it is possible that weeds can wiggle their way to the surface. Consider concrete driveways and walkways – while these are considered solid hardscapes, it is not uncommon to see weeds working their way up through the cracks and around the edges. 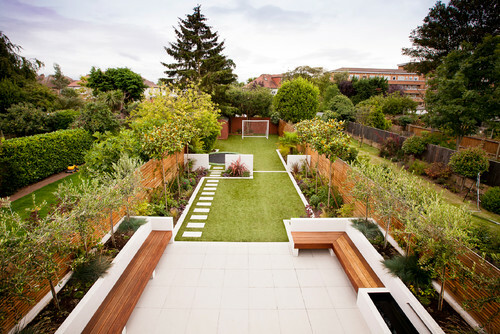 With artificial grass, it is particularly difficult to completely keep any weeds from growing around the edges. 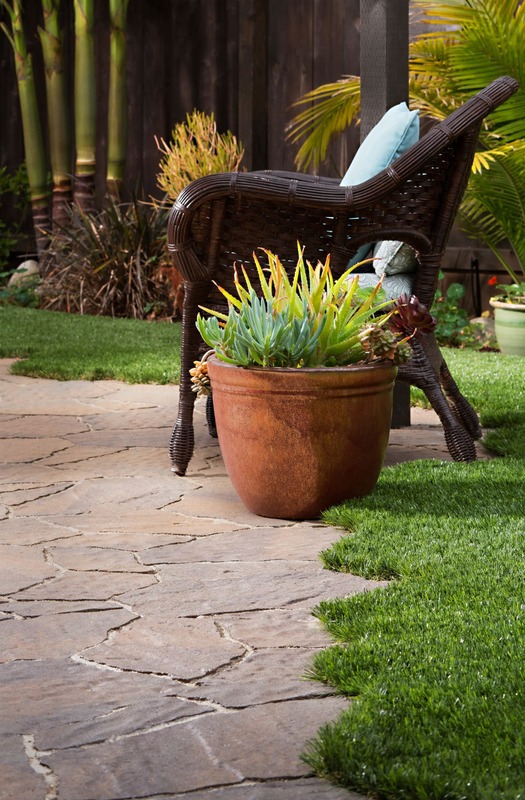 We recommend removing hardscapes before installing fake grass; however, some folks think installing artificial turf over concrete will help to ward off future weed growth. As mentioned above, it is common to see weeds in concrete cracks, so if you are installing your grass over concrete, be sure to fill the cracks in beforehand to help prevent weed growth. If you opt for synthetic grass, you may never have to pull another weed from your lawn. This choice is certainly far more weed resistant than natural grass and is much lower maintenance. However, no manufactured grass installer can guarantee that you will never again see a weed, and it is possible that you may have to pull a weed from in or around your lawn now and then. Is Artificial Grass Fire Resistant?